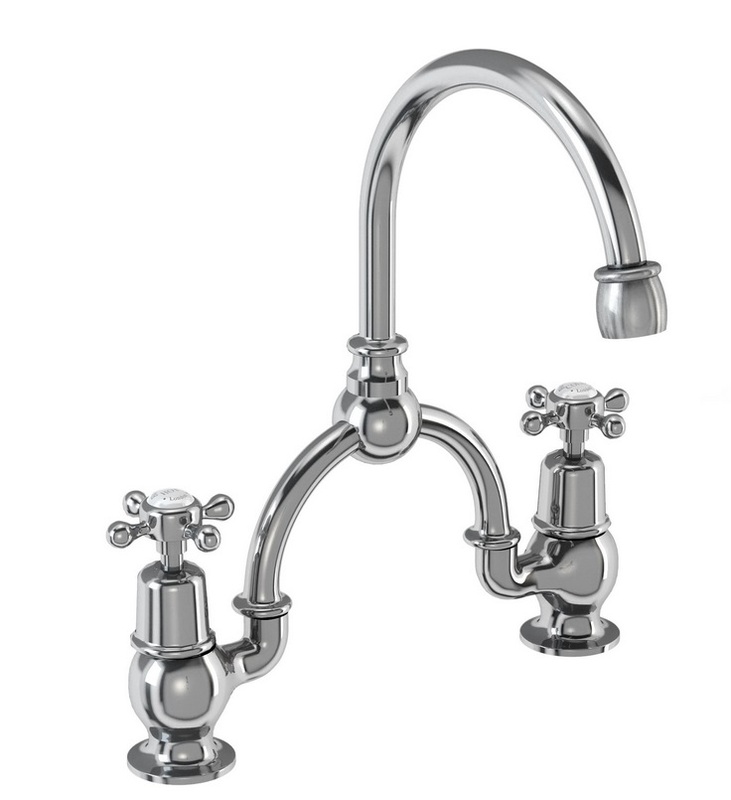 The Claremont Basin Mixer is manufactured by Burlington and is part of our Period Bathroom Collection. These taps are chrome plated brassware and are supplied with Burlington's 10 year product guarantee. 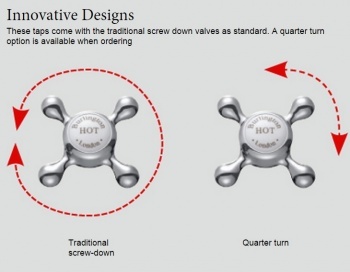 These taps can be customised when ordering to include turn option (Standard Full Turn or Quarter Turn) and tap height (Standard or Regent). Please see diagrams below for further information. 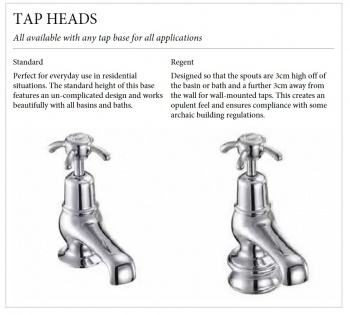 I love these taps they really look great. The one complaint I have is that the delivery company used continued to mess me around with the delivery. 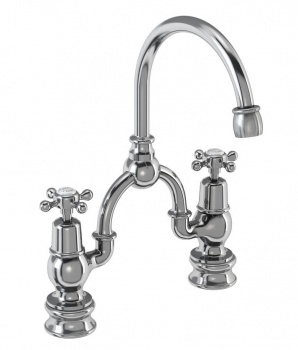 Period House Store however dealt with this professionally and were extremely helpful, calling back when they said they would and they were very apologetic even though the taps were sent direct from the company so it wasn't Period House Stores fault. Thank you for fabulous taps and excellent customer service.